The University of Southern California’s Jimmy Iovine and Andre Young Academy is seeking a Public Communications Assistant to join its team. This position will provide public relations, marketing and communications assistance and administrative support for the Communications department. Plan, write, and edit long- and short-form content for various platforms (e.g. website, social media, print). Research and conduct interviews with relevant persons to gain knowledge on given topic. Assist in the preparation, production, and distribution of informational and/or promotional materials. Includes creating graphical assets (e.g. photography or graphic design) for the website, email campaigns, social media accounts, and other channels. Coordinate public relations activities and events (may include coordination of volunteers, student workers, and staff). Coordinate contract vendors to ensure all assets are aligned with overall brand and ensures timely delivery of goods and services. Update and maintain editorial calendar, website, social media accounts, email contact lists. Candidates must have the ability to work successfully within a team environment. Occasional evening and weekend work may be required. Working knowledge of MS Office is required. Working knowledge of Adobe Creative Suite (e.g. Photoshop, InDesign, Acrobat) and video-editing software is preferred. Minimum Experience: 1 year. Combined education/experience may substitute for minimum experience. Minimum Field of Expertise: Education or experience in design, technology, and/or the startup industry. The University of Southern California, founded in 1880, is located in the heart of Downtown LA and is the largest private employer in the City of Los Angeles. 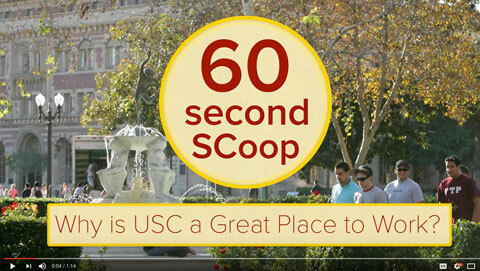 Ranked 15th among U.S. colleges and universities by the Wall Street Journal, USC is one of the world's leading private research universities and a global center for the arts, technology, medicine, and international trade. As an employee of USC, you will be part of a world-class university and a member of the "Trojan Family," which is comprised of the faculty, students and staff that make USC the great institution that it is today. 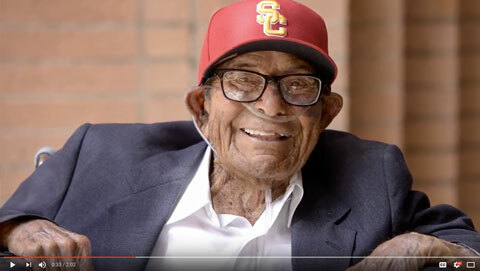 The USC Jimmy Iovine and Andre Young Academy for Arts, Technology and the Business of Innovation is the 20th professional school established at the University of Southern California. Renowned for its groundbreaking educational model, its programs inspire innovative thought at the intersection of business, design, and technology. The focus of the Academy is on design thinking as applied to various fields of endeavor, and as practiced in multidisciplinary, collaborative and team-based environments. Minimum Field of Expertise: Education and/or experience in public relations, journalism or related field.